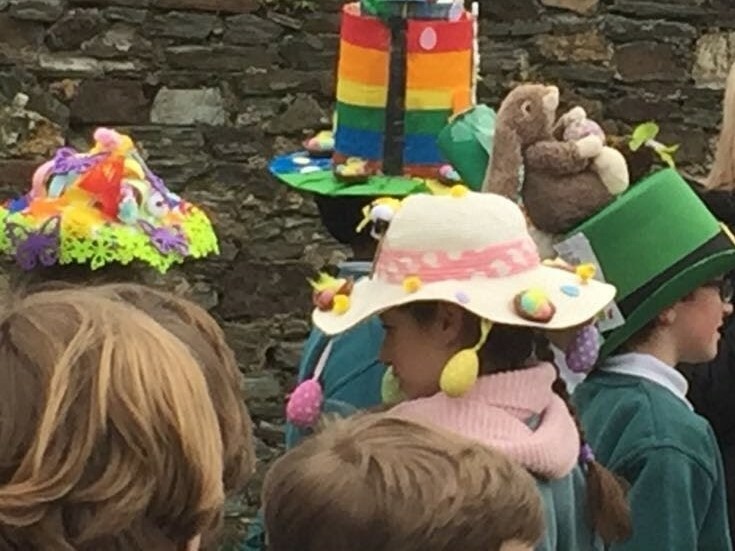 Use any old hat/cap and sew or glue on the decorations to turn into an Easter Bonnet. Use recyclable materials such as cereal boxes, milk cartons, plastic bottles or egg cartons. Look at the outside for inspiration: maybe add some flowers and leaves. Make it simple and just encourage each child to enjoy creating his/her own Easter Bonnet!. Look back and be inspired by some of the previous pictures feature in this blog and the previous one. We look forward to seeing everyone’s creations. Many thanks, from NJS Parent Association!